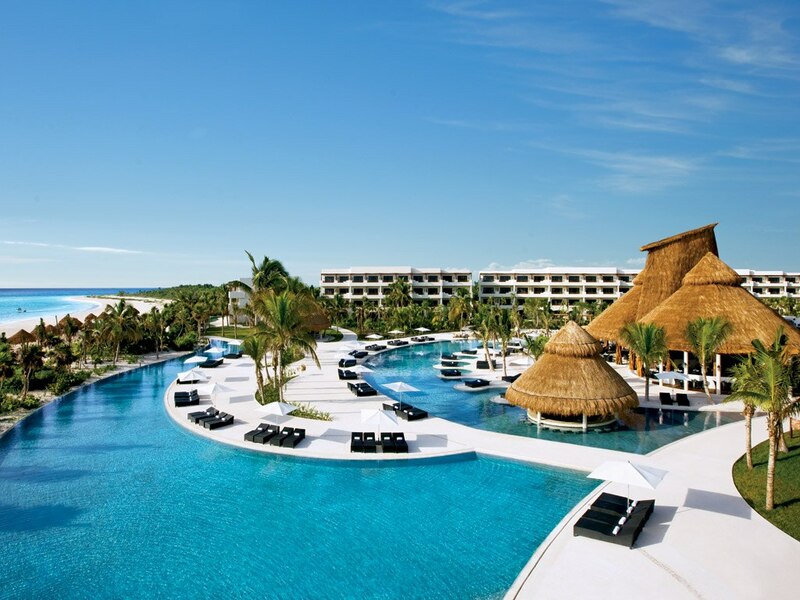 Secrets Maroma Beach Riviera Cancun is an all-inclusive, adults-only (18+) resort located on one of the most pristine, white-sand beaches in all of Mexico. Experience Unlimited-Luxury® at this AAA Four Diamond rated, all-suite resort that boasts 14 meandering pools, an amazing spa and spa gardens plus enough entertainment, sightseeing, sports and recreational opportunities to fill every waking hour. Come to Secrets Maroma Beach Riviera Cancun to find an active vacation in paradise. Nestled on the coast of the Yucatan Peninsula, Secrets Maroma Beach Riviera Cancun is an adults-only (18+) luxury oasis is situated between 500 plus acres of stunning unspoiled beach and lush rain forest. Our luxurious guest suites feature a four-poster canopy king-size bed (or two double beds), private terrace or balcony, in-suite Jacuzzi for two, complimentary mini-bar and much more. You’ll enjoy elegantly appointed rooms and suites with 24-hour concierge and room services. Multiple gourmet restaurants and lounges serving premium beverages await you. You can choose to participate in endless day and evening activities, all in a spectacular setting. Unlimited-Luxury®… A new and better way for adults to have it all. Secrets Maroma Beach Riviera Cancun is Rainforest Alliance Certified, which means they employ a variety of environmentally-friendly practices to support and promote sustainable tourism efforts, a reduced environmental impact and social responsibility.